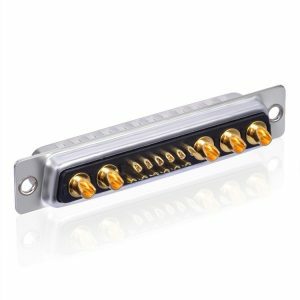 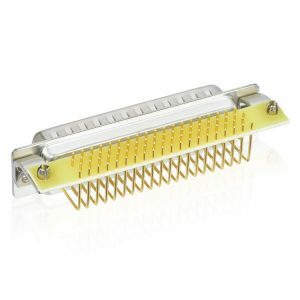 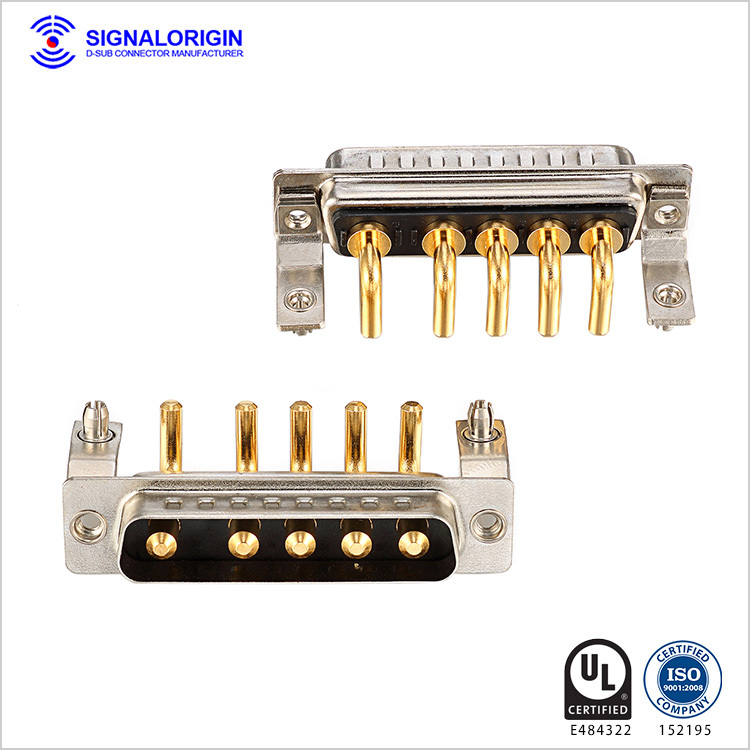 5W5 male high current d sub right angle connector, with nickel plated bracket, insulators and gold over nickel plated machined contacts are housed in nickel or tin plated steel shells. 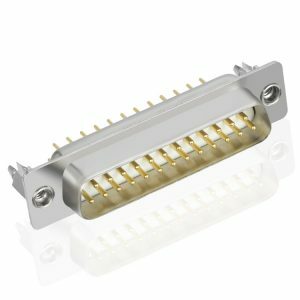 Machined contacts offer advantages with regard to current carrying capacity, contact variety, suitable plating, and an increased mechanical strength. 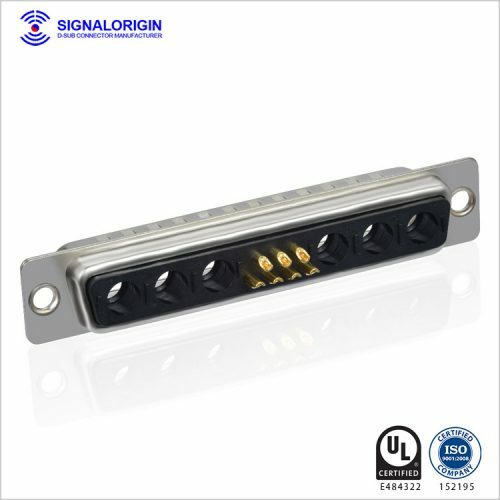 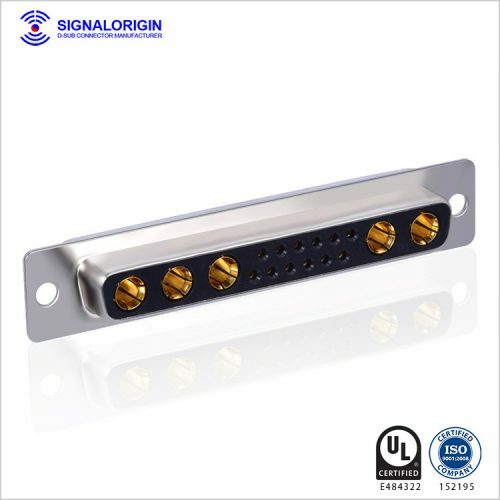 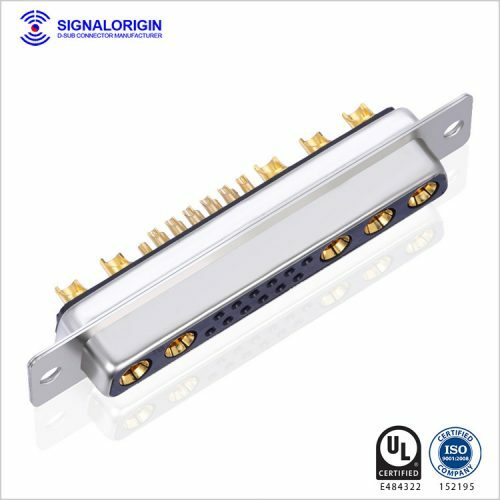 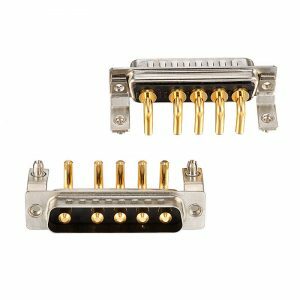 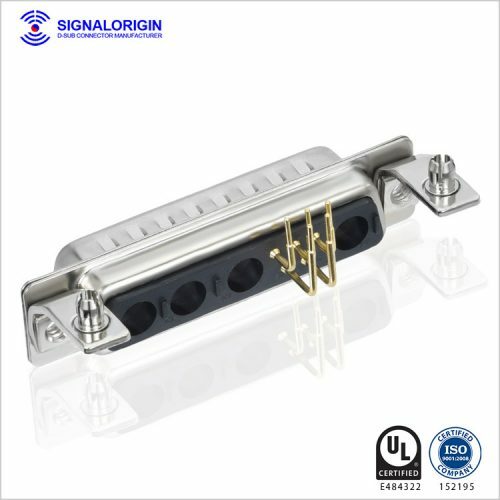 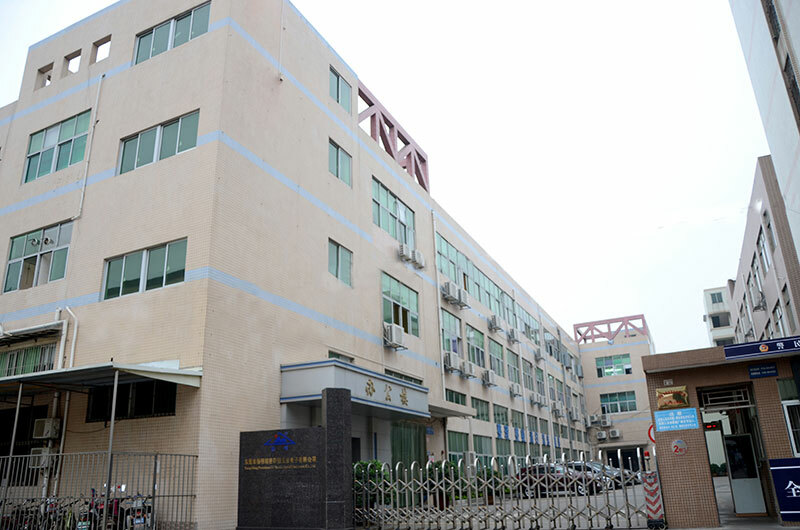 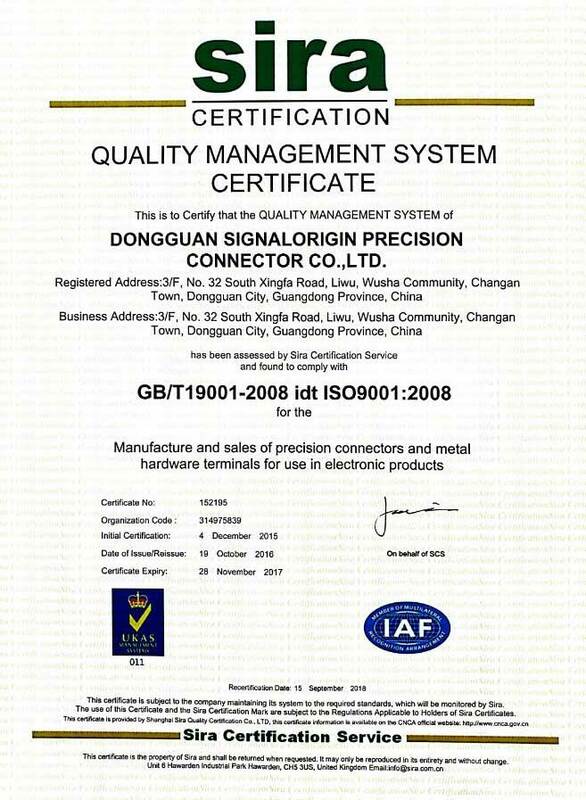 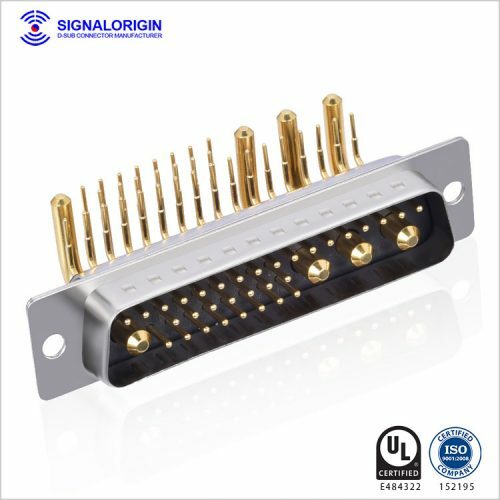 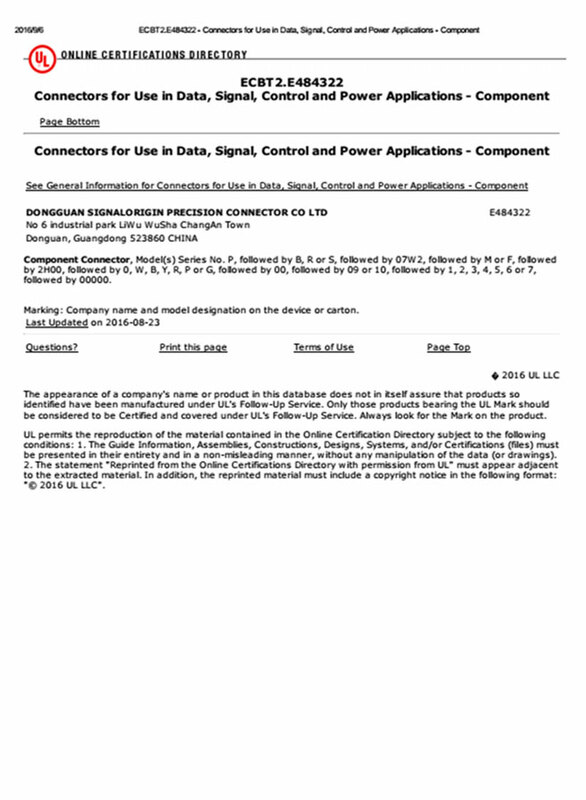 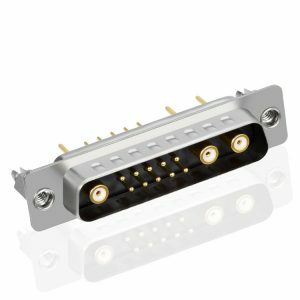 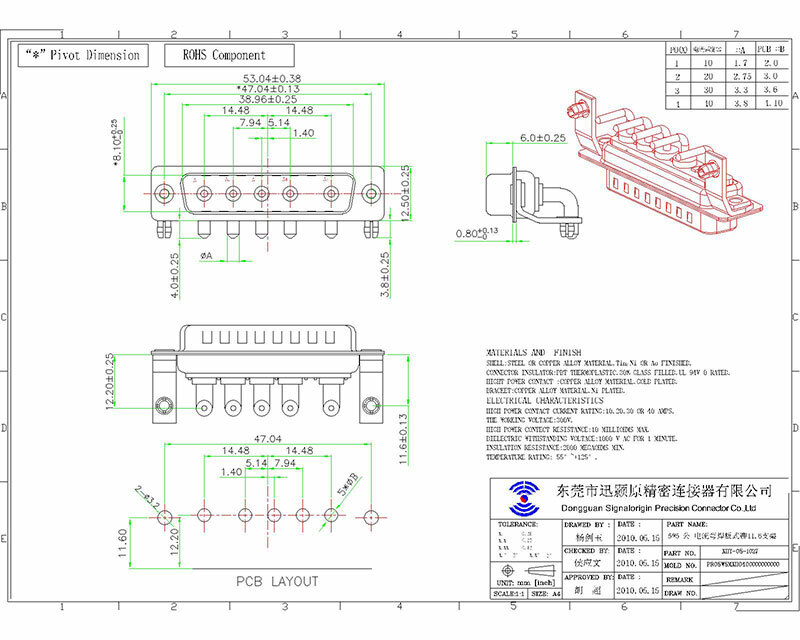 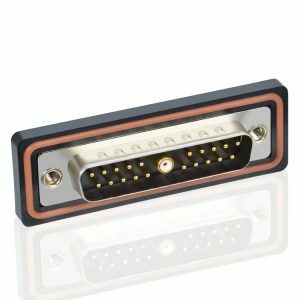 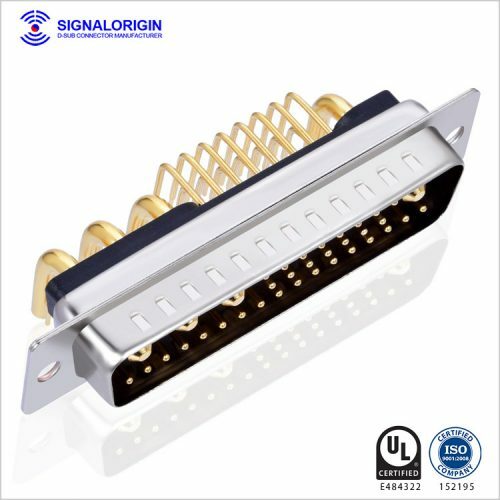 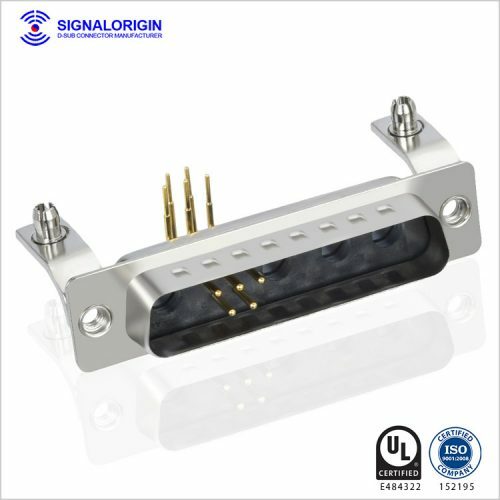 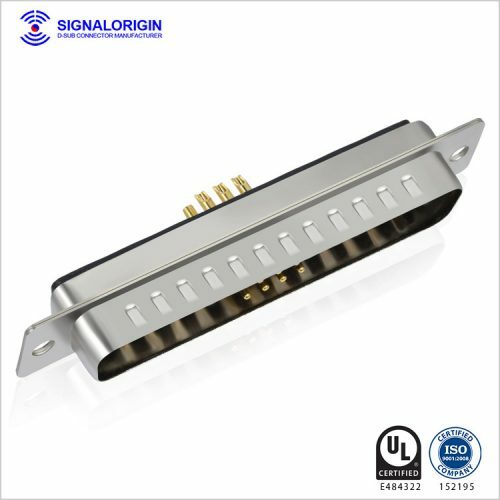 You may like 5w5 female d-sub connector.